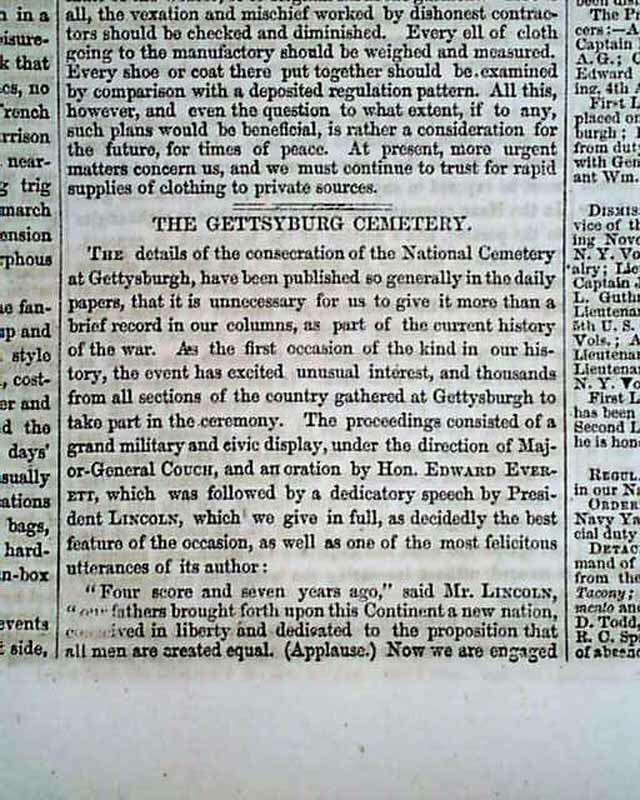 Certainly the most significant content is that found on page 5 under the heading: "The Gettysburg Cemetery" which has some particulars of the dedication of it. 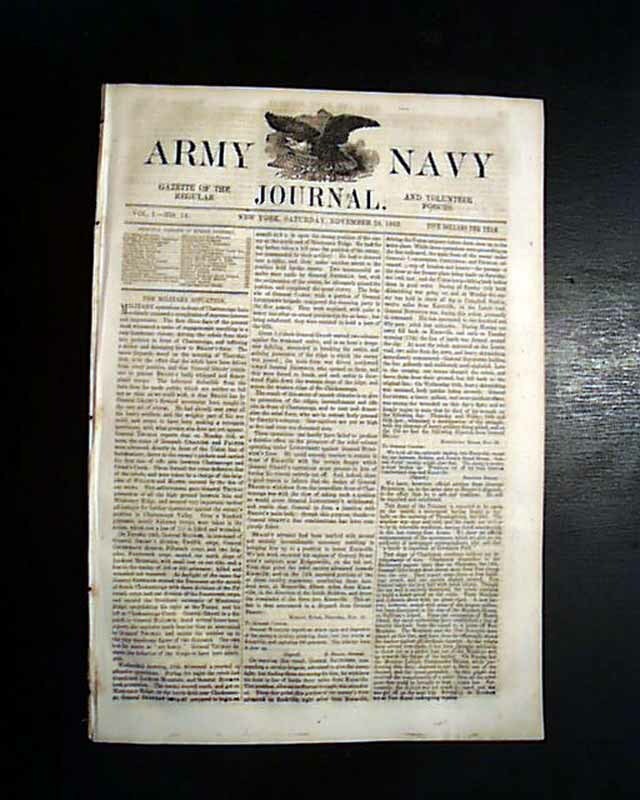 Included is the complete printing of Abraham Lincoln's Gettysburg Address, beginning: "Four score and seven years ago our fathers brought forth upon this continent a new nation..." (see). 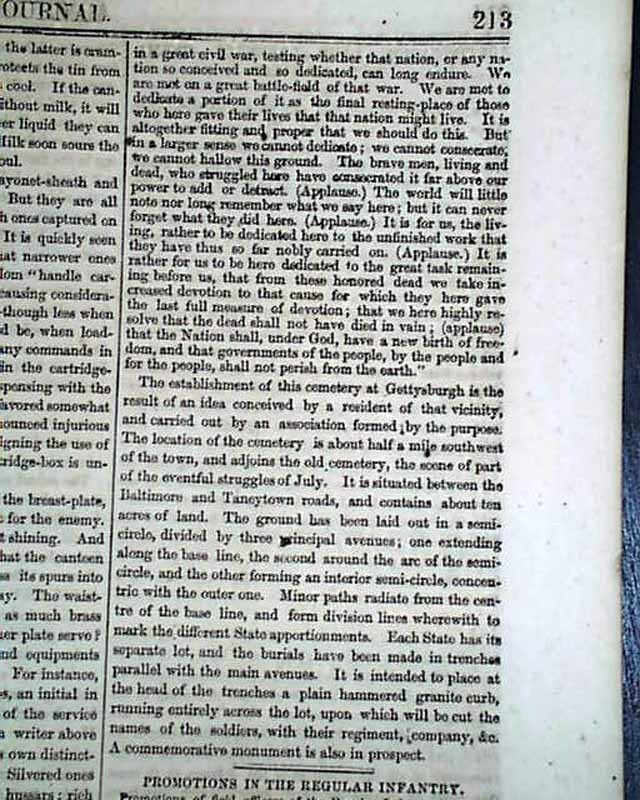 This printing of the Gettysburg Address is prefaced with: "...and an oration by Hon. 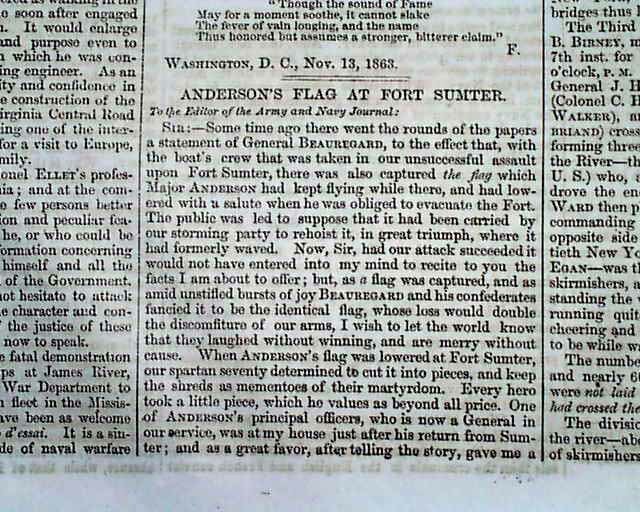 Edward Everett, which was followed by a dedicatory speech by President Lincoln, which we give in full, as decidedly the best feature of the occasion, as well as one of the most felicitous utterances of its author." How prophetic! 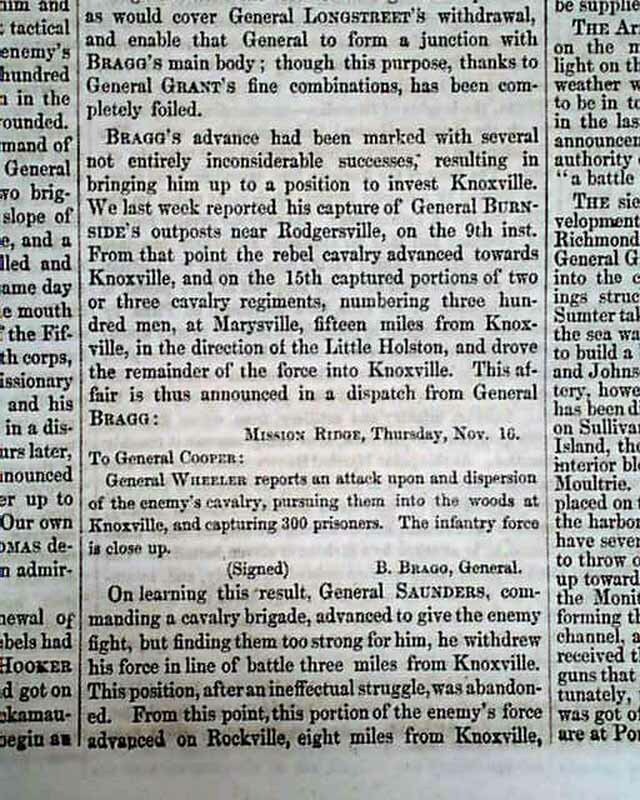 The rest of this newspaper has reports of the Civil War with some war reports from Europe as well. 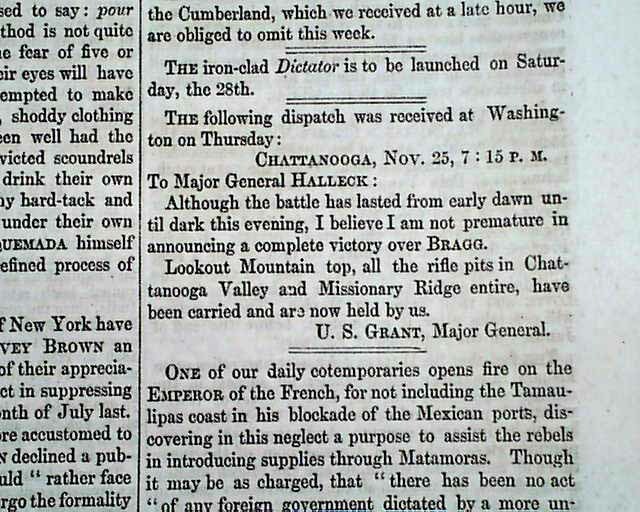 The front page has two items signed in type by: B. Bragg, both datelined "Missionary Ridge", with reports inside covering: "The Battle of Chickamauga" "The Crossing of the Rappahannock" "Anderson's Flag at Fort Sumter" "The Victory In Tennessee" among many others. 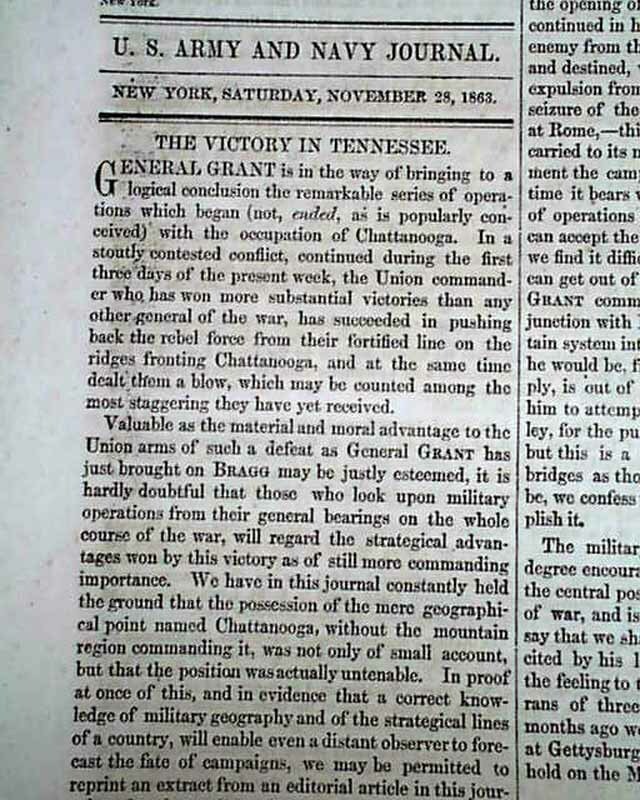 Complete in 16 pages, 10 by 14 1/2 inches, very nice, clean condition. 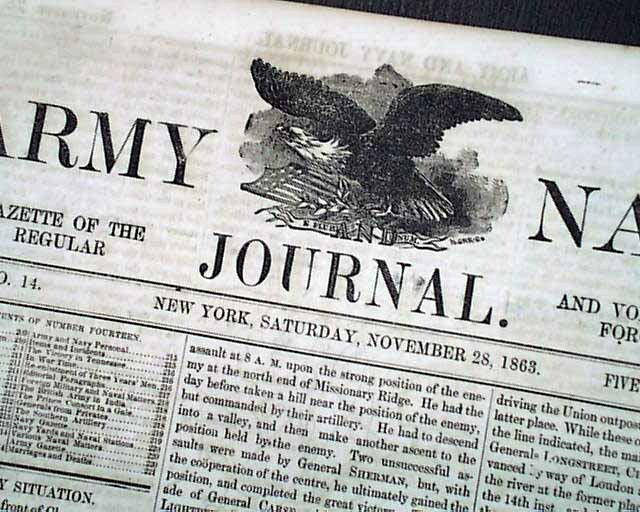 Perhaps one of the best newspapers to be had with a contemporary printing of the Gettysburg Address (given Nov. 18) as this is a military-themed periodical.